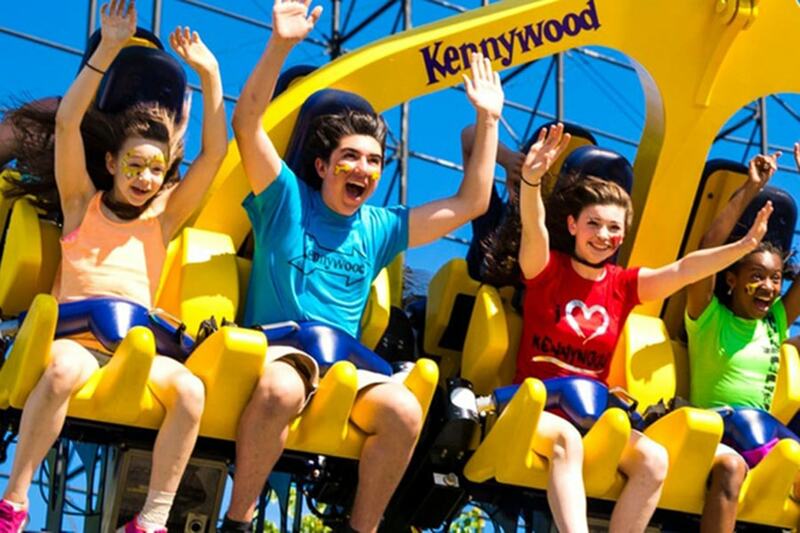 Carnegie Mellon's Community Day at Kennywood Park is Saturday, June 9. CMU employees can purchase two Funday tickets for $15 each (valid only on June 9) and additional Funday tickets for $23 each. Pavilion 7 will be reserved for CMU attendees. A prize giveaway for children (ages 10 & under) and ice cream distribution will begin in Pavilion 7 (behind Skyrocket) at 1 p.m.
June 5, Cohon University Center, 11:30 a.m.-1 p.m.
June 6, Mellon Institute, 11:30 a.m.-1 p.m.
June 7, Cohon University Center, 11:30 a.m.-1 p.m. & 4-5 p.m.
June 8, Cohon University Center, 11:30 a.m.-1 p.m.
You must have your own CMU ID to purchase tickets. Cash only. No refunds or exchanges. RoadBotics, a Robotics Institute spinoff that uses smartphone and artificial intelligence technology to monitor the condition of concrete and asphalt surfaces, received the Overall Greatest Impact Award in the American Society of Civil Engineers (ASCE) annual Innovation Contest. The company received several additional citations, including Most Feasible, Most Innovative and Best Value in the Internet of Things category, and Most Feasible in the Sustainable Engineering category. Christoph Mertz, Robotics Institute principal project scientist, has spent years developing a smartphone-enabled road inspection tool. He co-founded RoadBotics in 2016, along with Mark DeSantis, Benjamin Schmidt and Courtney Ehrlichman, to bring the technology to market. This year's winners will be recognized June 27­–28 in Reston, Virginia. Learn more about RoadBotics. Fifty-four seniors were inducted into Carnegie Mellon University’s chapter of the Phi Beta Kappa Society (PBK) this spring. Only about 10 percent of college students across the United States are invited to join PBK. Dietrich College seniors Maria Navarro-Gutierrez and Mikaela Wolf-Sorokin, who were inducted into PBK in fall 2017, gave a joint speech at the induction ceremony on their time at CMU and the community around PBK. See the list of inductees. The Carnegie Mellon soccer field and walkway at the corner of Forbes Avenue and Margaret Morrison Street will close June 4 for resurfacing. The work is expected to take about four weeks. New applicants wishing to obtain parking on campus, current permit holders wishing to move to a different parking location, and students interested in parking on campus for the 2018-19 year can add their name to the parking waitlist now through Friday, June 8. If you are faculty or staff and wish to retain your current parking assignment, no further action is required. If you wish to be added to the waitlist, please visit https://parking.campusservices.cmu.edu. Click “login” on the left-hand side of the screen. Once you are logged in, click “order permit” and follow the instructions. You will be able to select up to three locations. Please note, waitlist assignments are not guaranteed. Please refer to the FAQ page on the Parking and Transportation website for additional information. Contact Michelle Porter at mporter@andrew.cmu.edu with questions. The Environmental Health and Safety Department will be conducting several building evacuation drills this summer between 8 a.m. and 12 noon, beginning Tuesday, June 12. The schedule follows. July 19: Pittsburgh Technology Center, Information Networking Institute, Software Engineering Institute, UTDC, Mellon Institute, Whitfield Hall and 4721 Fifth Ave.
Tickets to CMU's Community Day at Kennywood Amusement Park, Saturday, June 9, will be on sale next week in the Cohon University Center and Mellon Institute.